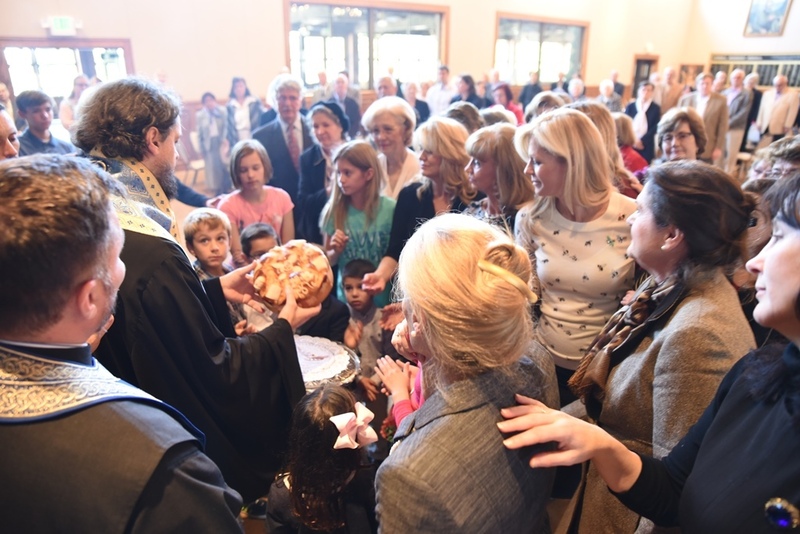 On Sunday, December 4, 2016, at the Cathedral of Saint Steven in Alhambra, California, the Kolo Srpskih Sestara of the Western American Diocese celebrated their Krsna Slava, the Feast of the Entrance into the Temple of the Most Holy Theotokos. His Grace Bishop Maxim celebrated the Divine Liturgy with V. Rev. Nicholas Ceko, Cathedral Dean, Rev. Norman Kosanovich, Cathedral Assistant Priest, and V. Rev. Ilija Dajkovic, together with the members of the Diocesan SKSS from throughout the Diocese and many parishioners of the Cathedral and neighboring parishes. Following the Divine Liturgy, V. Rev. 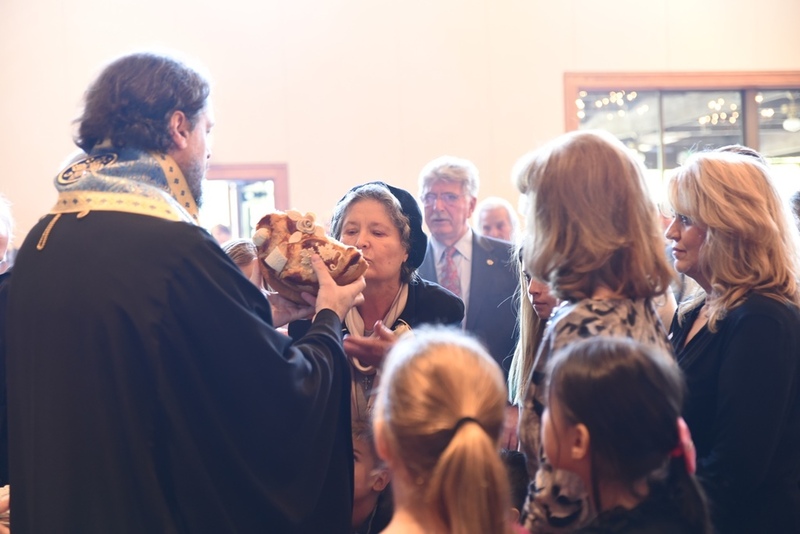 Predrag Bojovic, SKSS spiritual father and priest at the St. Sava Church in San Gabriel, joined in the Slava Service held in the Cathedral hall just prior to the Slava Banquet, which was perpared by the Saint Steven's Cathedral Women's Auxiliary. The honored Slava Kuma was Protinica Radmila Vasiljevic, the mother of His Grace Bishop Maxim. In the absence of the SKSS president, Ana Velickovich, 1st Vice President, and Bernadette Polich, Financial Secretary extended a warm welcome and greetings to all who attended. Ana in her remarks stressed the importance of the ministry of the Diocesan Circle of Serbian Sisters and encouraged support of the many events and fundraisers held by the Diocesan KSS. For more information about the Diocesan Kolo Srpskih Sestara, the St. Sebastian Orthodox Press of the Western American Diocese has published a beautifully illustrated brochure entitled, "The Ministry of the Circle of Serbian Sisters - Kolo Srpskih Sestara" which gives a history of the contributions of the Women's Organizations throughout our Western American Diocese and describes the important ministry of the Diocesan Kolo Srpskih Sestara in the Life of our Church. This book is available from our Sebastian Press Bookstore.